To the tourists and guests who want to visit the Como area, we always recommend a tour of the city to discover the beautiful churches of Como. The beauty of these architectures allows the visitors to understand the true history of Como, a Romanesque town (the orthogonal streets of the historic center leave no doubt) that has for long time been a real strategic focal point for all the people transiting to and from the Alps. From the San Carpoforo’s Church to the San Fedele’s Church, from the Sant’Abbondio’s to that dedicated to St. Augustine, from the Saints Cosmas and Damian’s Church, to the Cathedral, and finally to the “Santissimo Crocifisso”, tourists can choose routes between art, history, or more linked to the faith that is still alive in the city. With this post we would like to start a small study that will lead us, in the next posts, to show you the wonders of Como’s Churches, from the mainstream ones to those that are perhaps less known. Our idea is to then collect the posts in an ebook which, at the end of this journey, will be downloadable for free from our website. 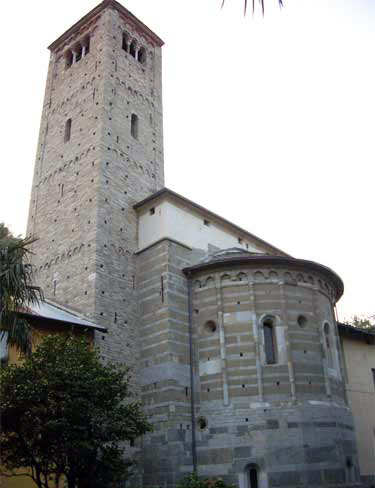 Today we start with a Church of Como that is not so well known: San Carpoforo. Let’s start from here because many tourists don’t know about this little pearl. 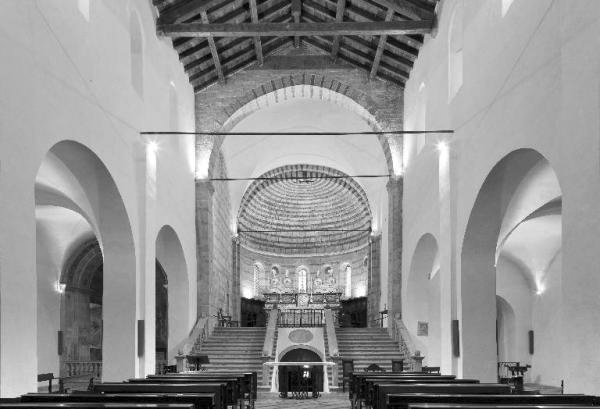 The San Carpoforo’s Church is a special and quiet place. The visit will take up to half an hour, and is easily accessible by foot and by bus from the town center. 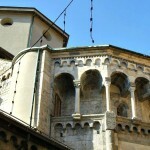 San Carpoforo is the historical soul of Como. It was indeed the first church of the diocese and also its first cathedral. It was build in the fourth century by the will of the first Bishop, San Felice, and around this church the first Christian community was born. The church presents a classic Romanesque architecture, but it went through many renovations, and for that reason little remains of that very first building. A special feature is that there is no main entrance (apparently because the church, built at the foot of the mountain on which Baradello Castle stands, its side collapsing several times) but only two lateral ones: one from the cloister of the adjacent monastery and one on the opposite side. The interior of St. Carpoforo comprehends three aisles and it is simple and austere (but this is the most interesting feature! ): The ceiling of the main aisle is made out of wooden trusses, the side ones present a vaulted white ceiling, the walls are bare, the gray floor slabs are made out of local stone. You will find only one fresco at the bottom of the church dating back to the eighteenth century and which represents the baptism of Jesus. 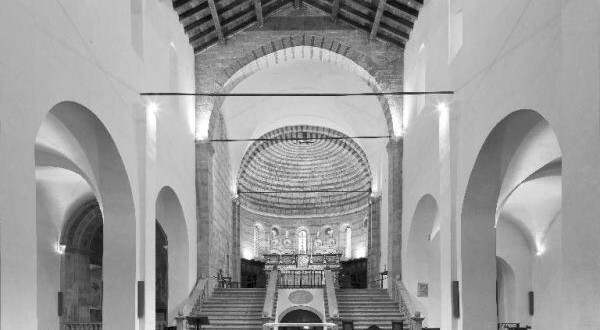 As I said the Church of San Carpoforo has seen, over time, the introduction of some improvements and renovations that have added features typical of the age in which they were built. One example is the small chapel dedicated to the Assumption of Mary built and painted during the Renaissance with scenes from the life of Our Lady, or the altar covered with marble dating back to the sixteenth century, or the altar of the crypt which is also decorated with marble from the Baroque age. 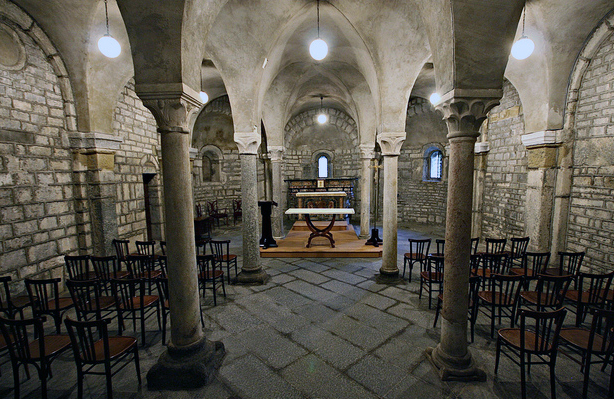 Don’t forget to visit the crypt: particularly striking in the morning thanks to the light at play with the windows. A really impressive place that will allow you to breathe peace and tranquility. 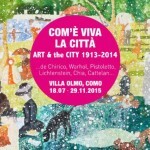 Ask information to our front desk for your tour to Como! 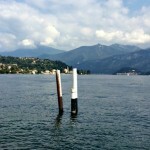 Lake, mountain, walking, hiking, wine tours, art, culture and events…The Como area offers so much! Patrizia, the staff at the Posta Hotel in Moltrasio and I are at your disposal to help you planning the best possible tour in Como and the surrounding areas. Any need you have, please contact us! We are waiting, as always, with a smile! 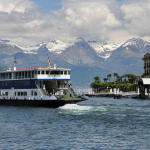 Discover Lake Como: all the tour you are looking for are there! WhatsApp List Hotel Posta Moltrasio: offers and exclusive services for you!